Come take a look at the three different campaigns that feature in Battlefleet Gothic Armada 2, find out what drives the Necrons, Imperiums, and Tyranids in the face of Abaddon’s 13th Black Crusade. 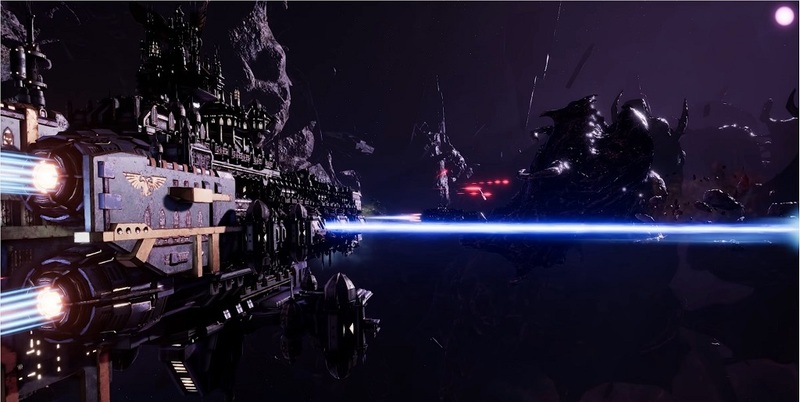 Battlefleet Gothic Armada 2 tells the tale of a galaxy embroiled in war in the closing days of the 41st Millennium. As Abaddon’s 13th Black Crusade brings ruin and literal Chaos to the Aegis Ocularis, three factions step out onto the Galactic center stage. 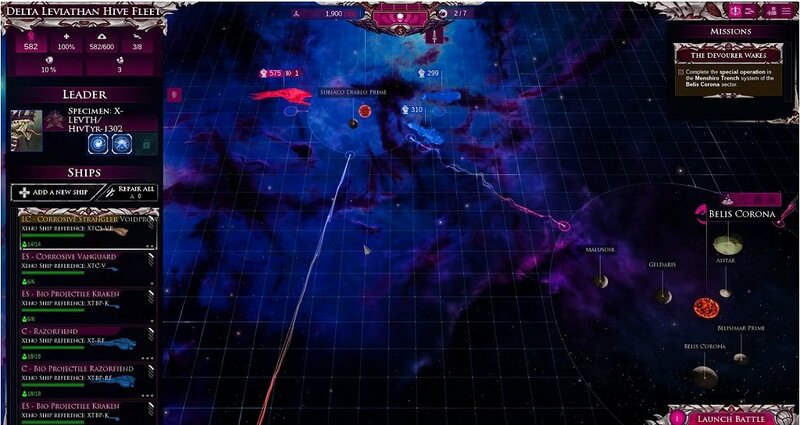 The Imperium, the Necrons, and the Tyranids all rise in their own campaigns, each with their own individual stories, strategies, and mechanics. Each campaign plays different from the other, and is tasked with controlling different worlds within the Aegis Ocularis. The Imperial forces, for instance, are centered around claiming territory and consuming resources. The campaigns have different mechanics that amplify their playstyle. The Imperium has the variety of its Imperial Navy, Space Marine Ships, and the powerful constructs of the Adeptus Mechanicus working as a combined fleet to bring the glory of the Emperor to the Aegis Ocularis, for instance; while the Necrons must unearth Tomb Worlds and construct additional pylons to push back the tides of Chaos. Along the way, of course, you’ll find all manner of upgrades, new ships, and battles to get into. The Campaign map sprawls, representing the sector of space, with new mechanics that change depending on the faction you’re playing. Necrons and Imperial forces will want to secure their worlds, while the Tyranids will devour them. So get ready to take to the Aegis Ocularis with massive, iconic ships. Legendary vessels like Macragge’s Honour, Phalanx, and more await you. Better still, each of the campaigns supports co-op multiplayer, with each player taking control of half of the fleets on a given mission. Or if you’re feeling like testing your fleetbuilding skills, take command of one of the many forces of the galaxy and join the ranked multiplayer to face other players around the world in galactic combat. Battlefleet Gothic Armada 2 is about to open up another round of beta pre-order access, so be sure and check back for more inforrmation. In the meantime, good luck admirals.